Be Happy for the fans of JYP Nations in Indonesia! After 2PM concert on March 2011 now it’s time for the rest of JYP Nations to come. 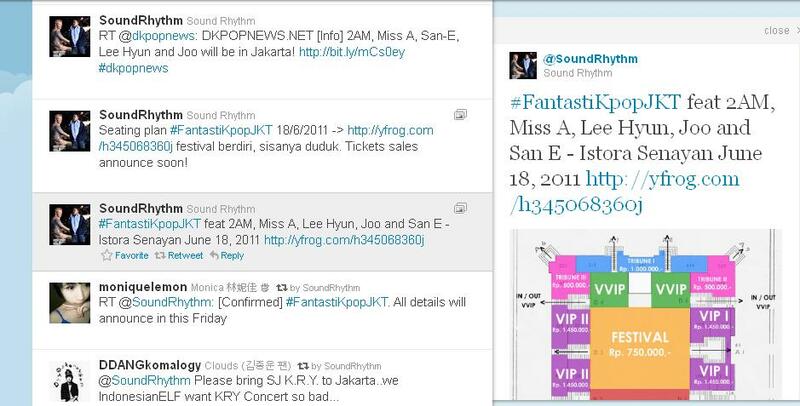 Thanks to Sound Rhythm who bring the whole JYP Nations to Indonesia. On their official twitter, they confirmed that there will be another Kpop Music Festival in Jakarta named Fantastic Kpop Jakarta. They said the artists that will be performed are 2AM, MISS A, SAN-E, Lee Hyun, and Joo. 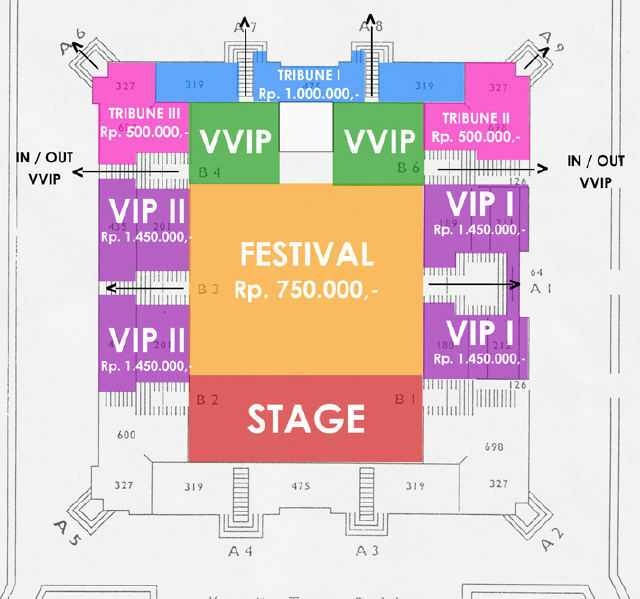 We could see the ticket prices and seat classes on the picture above. This entry was posted on May 8, 2011 by heedina. It was filed under Boy Band, Concert/Show, Girl Band, News, Solo and was tagged with 2am, Joo, Lee Hyun, Miss A, San E.
Oops.. sorry I think I forgot to put the date.